The New York Times just published a new article regarding The Lifespan of a Fact. 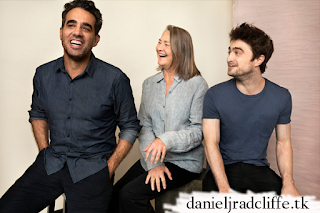 It features the first rehearsal photos (well ok there was one published earlier, which I shared on Facebook, but it was removed about a day later) plus photos from a shoot for The New York Times. They sat down with the cast as they met Mr. D’Agata and Mr. Fingal for the first time. Performances begin tonight (first preview) at Broadway's Studio 54. Break a leg!